With Cybermen on the streets of London, old friends unite against old enemies and the Doctor takes to the air in a startling new role. Can UNIT contain Missy? As the Doctor faces his greatest challenge, sacrifices must be made before the day is won. Following on from last week’s Dark Water, Death in Heaven sets off with the aim to conclude the series with a decent finale. Ultimately it succeeds with that. Though there are a few hiccups but aside from them Death in Heaven is a fairly good conclusion to Capaldi’s first run as The Doctor. The episode mainly ping pongs between the events of The Doctor trying to stop Missy and Clara attempting to survive the Cyber invasion and find Danny. The two plots occasionally clang and don’t always gel well together but for the most part they do work simultaneously. 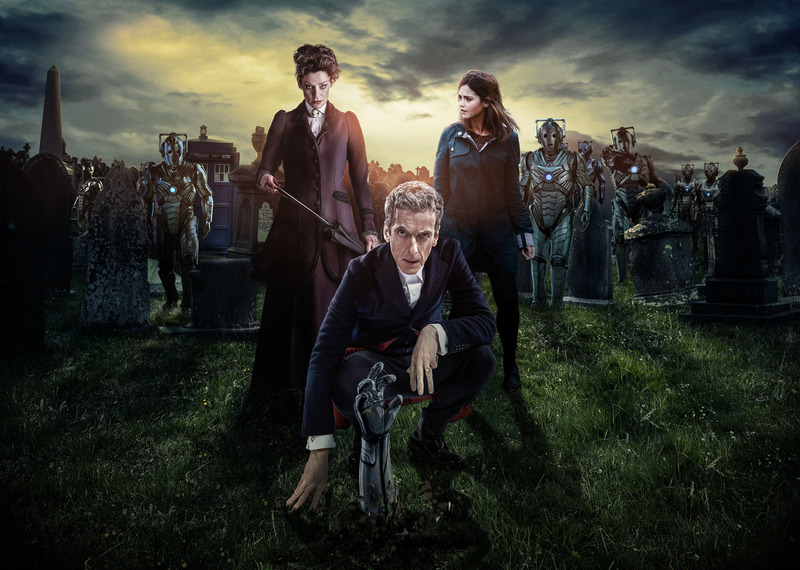 The plot, however, takes a backseat, mainly to show off the incredible talent of Michelle Gomez as The Master/Missy. Gomez truly does demonstrate her acting ability in this episode. She manages to redefine The Master in such a way as to take various parts of the character such as Delgado’s sinisterness; Ainley’s campness and Simm’s madness and make them seen fresh. Gomez really is the best thing about this episode; she brings Moffat’s script alive in a way that could have felt stale but is instead fresh, amazing and brilliant. Gomez’s Master is one to remember and a version of the character I would definitely like to see return. Addison also manages to give a good, if short reprisal of his performance as Seb in this episode. It is nice to see Addison in a few brief scenes demonstrate the madness of his character. Hopefully he may return one day alongside The Master. Ultimately Death in Heaven is a good if perhaps not completely original ending to Peter Capaldi’s run as The Doctor. It managed to show off some great acting, several interesting ideas and has some great cinematic sequences courtesy of Rachel Talalay. Hopefully, when Series 9 airs next autumn the best bits of Series Eight can be taken and improved to make the show even better.